Malaysians are great people. I've met very few of them who are reluctant to welcome the foreigners. But all the five fingers are not equal so, it's perfectly alright. I've also noticed for the past few years that the Pakistani population is increasing in Malaysia. One large percentage of this population is the students coming from Pakistan or from gulf countries to study foundation or degree programs in Malaysia. Then comes the Pakistani businessmen or skilled workers which are many in numbers but the list of non-skilled workers/ labours is getting longer than any other category. 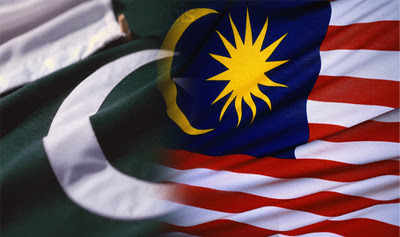 According to an estimate there are above 60,000 Pakistani passport holders present in Malaysia. This figure does not include Pakistanis having Malaysian citizenship. Maybe not heavily, but Malaysian industry definitely somehow depends on these Pakistani workers. We’re all taxpayers and contributing heavily in our fields; be it IT, construction, carpet industry, some import/ export line of work, any other business or job etc. One proof of this dependency is the rapidly increasing Pakistani population itself. I strongly feel the area we are lacking at (or not doing much) is our attitude towards this Malaysian community. By "attitude", I mean what we are doing here, how we are dealing with non-Pakistanis here and the way we are contributing to this society.